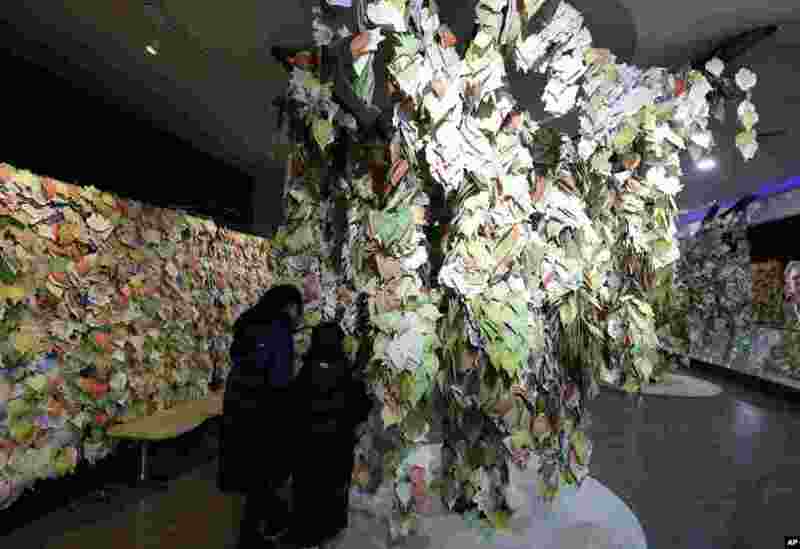 5 Children stand by paper messages wishing for peace in the Korean peninsula at the DMZ museum, inside of the civilian passage restriction line, in Goseong, South Korea. 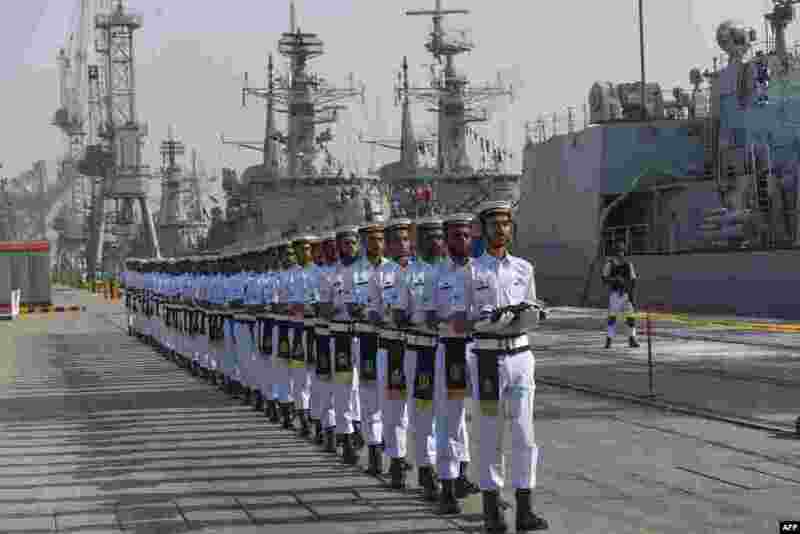 6 Pakistani Naval personnel march as they carry the flags of the countries participating in the navy's Multinational Exercise 'AMAN-19' in Karachi. 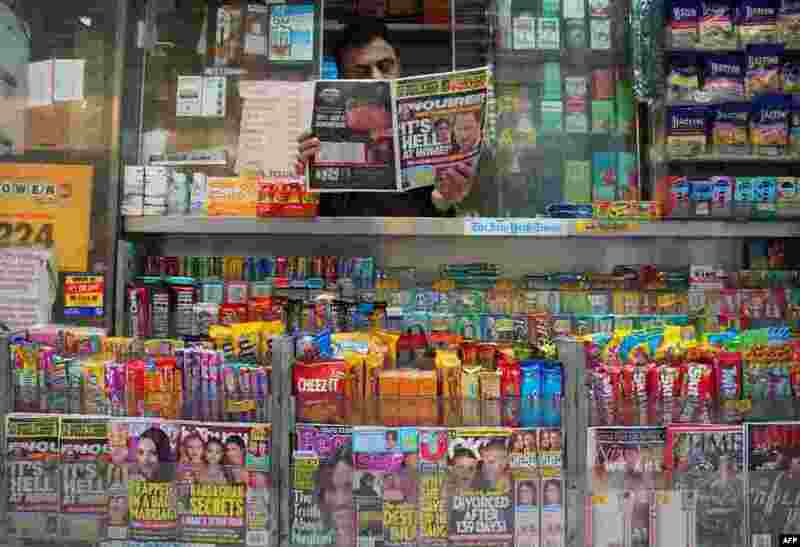 7 A newspaper vendor on Third Avenue in midtown New York City displays a copy of the National Enquirer for a photographer at his news stand. The publisher of the National Enquirer said Friday it would open an internal probe of accusations by Amazon's Jeff Bezos over blackmail and extortion by the tabloid. 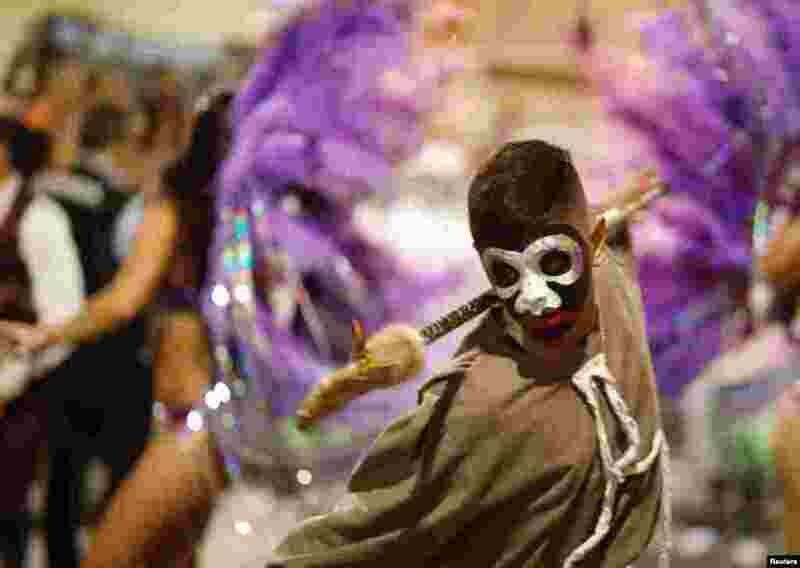 8 Members of a comparsa, an Uruguayan carnival group, participate in the Llamadas parade, a street fiesta with a traditional Afro-Uruguayan roots, in Montevideo, Uruguay, Feb. 7, 2019.